“Marijuana is safer than alcohol, so marijuana should be treated like alcohol” is a catchy, often-used mantra in the legalization debate. But this assumes that our alcohol policy is something worth modeling. In fact, because they are used at such high rate due to their wide availability, our two legal intoxicants cause more harm, are the cause of more arrests, and kill more people than all illegal drugs combined. Why add a third drug to our list of legal killers? Cannabis food and candy is being marketed to children and are already responsible for a growing number of marijuana-related ER visits. Edibles with names such as “Ring Pots,” “Pot Tarts,” and “Kif Kat Bars” are inspired by common children candy and dessert products. Unfortunately, we can’t expect societal financial gain from marijuana legalization. For every $1 in revenue the U.S. receives in alcohol and tobacco taxes, we spend more than $10 in social costs. Additionally, two major business lobbies—Big Tobacco and the Liquor Lobby—have emerged to keep taxes on these drugs low and promote use. The last thing we need is the “Marlboroization of Marijuana,” but that is exactly what we would get in this country with legalization. Contrary to media reports, Portugal and Holland have not legalized drugs. In Portugal, someone caught with a small amount of drugs is sent to a three-person panel and given treatment, a fine, or a warning and release. The result of this policy is less clear. Treatment services were ramped up at the same time the new policy was implemented, and a decade later there are more young people using marijuana, but fewer people dying of opiate and cocaine overdoses. In the Netherlands, officials seem to be scaling back their marijuana non-enforcement policy (lived out in “coffee shops” across that country) afterwitnessing higher rates of marijuana use and treatment admissions there. The government now only allows residents to use coffee shops. What all of this tells us about how legalization would play out in the U.S. is another point entirely and even less clear. Less than 8 percent of Americans smoke marijuana versus 52 percent who drink and 27 percent of people that smoke tobacco cigarettes. Coupled with its legal status, efforts to reduce demand for marijuana can work. Communities that implement local strategies implemented by area-wide coalitions of parents, schools, faith communities, businesses, and, yes, law enforcement, can significantly reduce marijuana use. Brief interventions and treatment for marijuana addiction (which affects about 1 in 6 kids who start using, according to the National Institutes of Health) can also work. 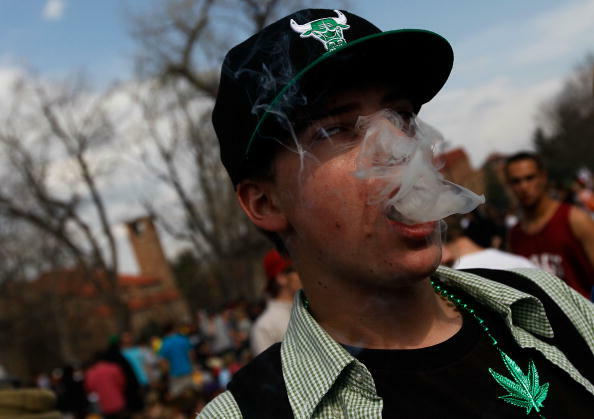 Experience from Colorado’s recent legalization of recreational marijuana is not promising. Since January, THC-positive test results in the workplace have risen, two recent deaths in Denver have been linked to recreational marijuana use, and the number of parents calling the poison control hotline because their kids consumed marijuana products has significantly risen. Additionally, tax revenues fall short of original projections and the black market for marijuana continues to thrive in Colorado. Though Washington State has not yet implemented its marijuana laws, the percentage of cases involving THC-positive drivers has significantly risen. Kevin A. Sabet is the author of “Reefer Sanity: Seven Great Myths About Marijuana” and the Director of Project SAM (Smart Approaches to Marijuana). Sabet appeared at The Heritage Foundation to discuss his new book. Watch his talk here.